Oh . . . I have a great, easy and delicious dinner idea for you. This recipe has been making the rounds on Pinterest, but I believe it originated from Big Oven. This is one of those dinners that you can throw together in 30 minutes! My sweet half even gave it a thumbs up. The recipe doesn’t call for the addition of steamed broccoli or sliced carrots, but I added them anyway. The sauce would also make a great Marinade for beef as well. 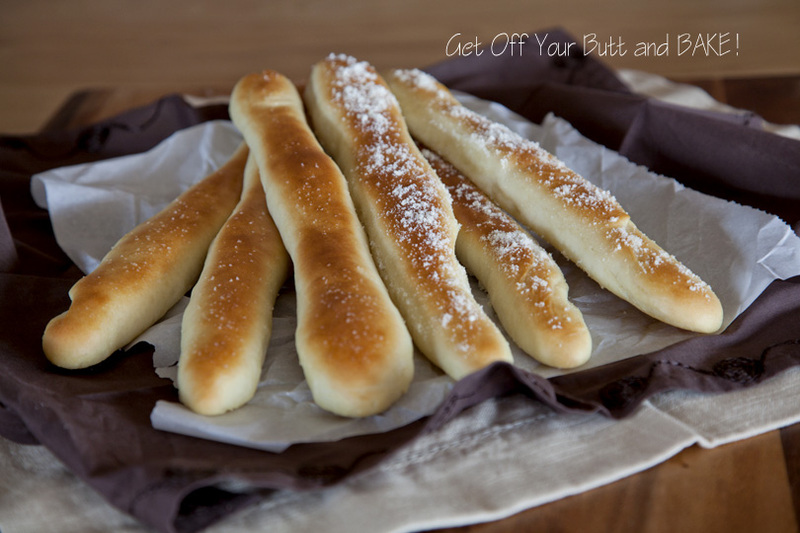 I also tried a new recipe for Olive Garden Breadsticks. It’s a Copykat of course . . . but very good. I will share the recipe on my next post, so please come back! Let’s make Bourbon chicken together . . . it’s super easy. Start by cutting up your thawed boneless skinless Chicken Breasts into 1″ pieces. Heat up a large skillet over medium high heat. Once it is hot, pour 2 T Olive Oil into it. Add the chicken to the hot pan . . . The chicken will start to get a bit juicy and bubbly. If it looks like you have a lot of juice . . . Put the lid on the pan, slightly tilted and drain the juices out into the sink or dish. Return the pan to the stove top and continue cooking over medium high heat. The reason for doing this, is so that pieces of chicken will be able to brown slightly. You don’t want to just boil them. Cooking time is only about 10 minutes. Don’t over cook your chicken or it will be tough & chewy. It will continue to cook after you add the sauce. Add the sauce . . . and stir it all around in that golden chicken. Put a lid on the pan, but leave it cracked just slightly, so that the sauce can thicken. Turn your heat to low/simmer. Let the chicken & sauce gently simmer over the lowest heat, until the sauce has thickened like you want it. If the sauce gets too thick for your tastes . . . simple add a tablespoon or two of Chicken Broth. I decided to also add steamed broccoli and thinly sliced carrots for color. This is optional of course, but I have a lot of broccoli in my freezer from last years garden. You could add other veggies as well. Oh . . . doesn’t it look good! I prefer brown rice, but my sweet half likes white, so that’s what I made. Actually, if the truth be known . . . I don’t really care for rice. Unless I make my Fried Rice & Ham. I love it! Go figure. Plate your rice and top it with yummy Bourbon Chicken. Come back soon and we’ll make Olive Garden Breadsticks together. QUESTION: Is there something you would like me to make with step by step instructions? 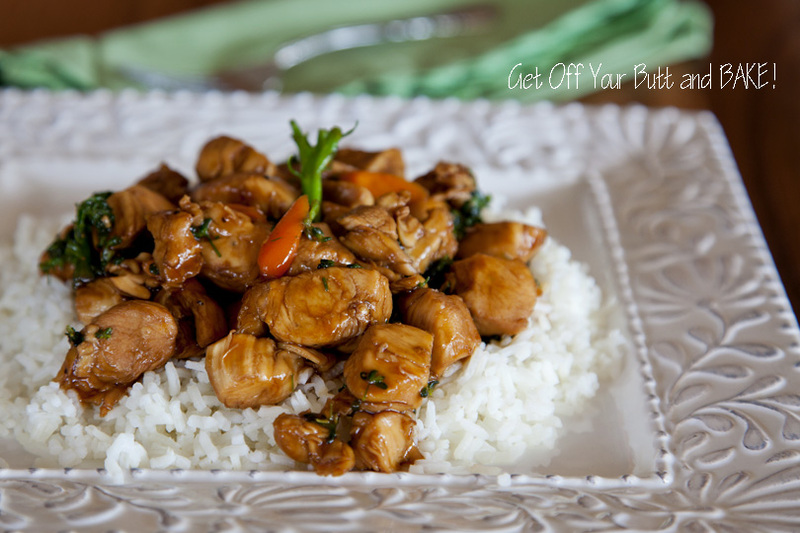 Bourbon Chicken over Rice – without the Bourbon! 1 Tablespoon apple cider vinegar ( I did not add this) I did add 3 Tablespoons of chicken broth to the sauce instead. Cut your chicken into small 1-2 inch pieces with some clean kitchen scissors. Add your chicken pieces to the pan and let them cook for about 10 minutes, stirring occasionally. The chicken will start to get a bit juicy and bubbly. Put the lid on the pan, slightly tilted and drain the juices out into the sink. Return the pan to the stove top and continue cooking over medium high heat. Into a medium sized mixing bowl combine 1 t garlic, 1/4 C apple or pineapple juice, 1/3 C brown sugar, 2 T ketchup, 1 T apple cider vinegar (or chicken broth), 1/2 C water, 1/3 C soy sauce, a pinch of red pepper flakes and 1 T cornstarch. Whisk it all together until the cornstarch is dissolved and all ingredients are well combined. pour the sauce into the pan. Stir it around to cover all the chicken pieces. Reduce the heat to a low simmer and cover the pan with the lid at an angle to allow some of the steam to escape. Let this baby simmer away for about 20 minutes, stirring a couple of times during the cooking period. If the sauce gets a bit too thick, simply add a tablespoon or two of Chicken broth to thin it. 1. 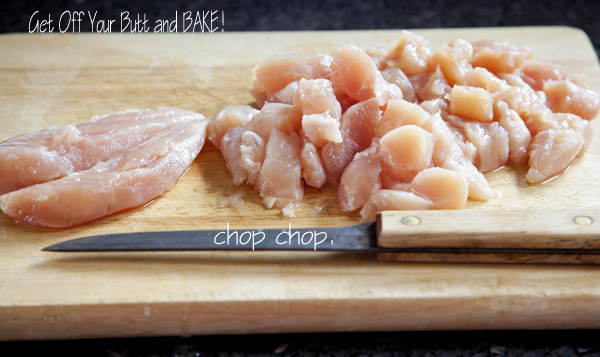 Cut your chicken into small 1-2 inch pieces with some clean kitchen scissors. 5. Into a medium sized mixing bowl combine 1 t garlic, 1/4 C apple or pineapple juice, 1/3 C brown sugar, 2 T ketchup, 1 T apple cider vinegar (or chicken broth), 1/2 C water, 1/3 C soy sauce, a pinch of red pepper flakes and 1 T cornstarch. Whisk it all together until the cornstarch is dissolved and all ingredients are well combined. 7. Reduce the heat to a low simmer and cover the pan with the lid at an angle to allow some of the steam to escape. Let this baby simmer away for about 20 minutes, stirring a couple of times during the cooking period. If the sauce gets a bit too thick, simply add a tablespoon or two of Chicken broth to thin it. I love a good simple recipe like this. Looks like one of those ones that could become a family staple! Let me know if there is a problem with it showing.